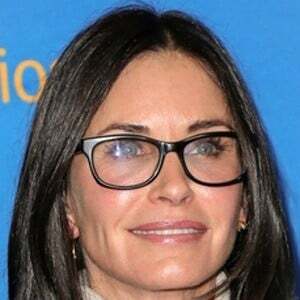 American actress who became known as the obsessively neat Monica Geller on Friends, and later received a Golden Globe nomination for her role on ABC's Cougar Town. She played the role of Gale Weathers in the horror movie series Scream and founded Coquette Productions. She played Wendy in the film Bedtime Stories. After graduating from high school, she briefly studied architecture at Mount Vernon College before deciding to pursue a career in acting. She appeared on a commercial for Tampax and became the first person to use the term "period" on TV. She married David Arquette in 1999. They had a daughter named Coco in 2004 and divorced in 2013. Subsequently, she began dating Snow Patrol singer Johnny McDaid, whom she got engaged to in 2014; they briefly split in 2015 and resumed things in April 2016. She worked with Jennifer Aniston on the highly successful TV sitcom Friends and received a Screen Actors Guild Award in 1996.